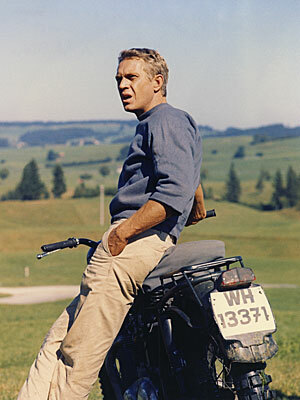 McQueen. . Wallpaper and background images in the Steve McQueen club. This Steve McQueen photo might contain motorcyclist, motorcycle cop, motorcycle policeman, speed cop, and rifleman. Steve being a pallbearer at Bruce Lee’s funeral. Steve McQueen’s Porsche 911 1971. Carroll Shelby and Steve McQueen Next to Steve’s Ford Cobra in 1963.